This week, I’m publishing 25 album reviews, each a tidy 100 words. In no particular order. 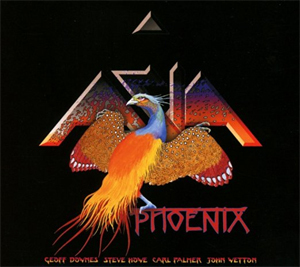 For most listeners, Asia was a one-and-done proposition; their self-titled 1982 debut was a huge hit that spawned three Top 10 hit singles. True, their second and third albums charted and had singles, too, but nobody seems to remember them. For the most part, neither do they know that the original foursome of prog heroes gone mainstream – John Wetton, Geoff Downes, Steve Howe and Carl Palmer – released this very good reunion set in 2008. If you liked the first album, you’ll dig this solid prog-meets-pop set. The new 2CD reissue includes the American and European configurations of Phoenix. 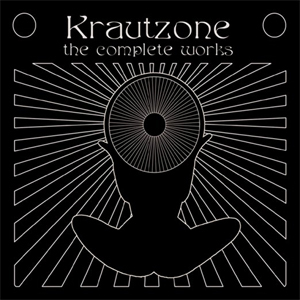 As an aficionado of the subgenre known as krautrock, when I stumbled across this title in a catalog I simply had to hear it. Though escaping my notice at the time, the five-piece group (sometimes augmented by a dancer) released 2013’s Komische Ritual and one side of a two-group LP in 2014. Both were strictly limited vinyl releases. This 2CD set compiles that material for those of us who missed the vinyl releases. It’s modern-day vintage krautrock: static, droning works that – depending on your perspective – either go nowhere or are wonderfully hypnotic. The smart money’s on the latter. For the most part, RareNoise Records specializes in avant-garde-leaning jazz artists. But this release is quite far from that aesthetic. 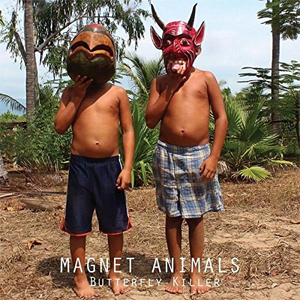 Try to imagine a hybrid of angular art-prog and blues-rock: that’s what you’ll find on Butterfly Killers. Noisy, skronky guitars that suggest Primus, Aristocrats or even Buckethead are fronting a band that sounds a little bit like Cream, or maybe Blue Cheer. Elsewhere – as on “Atayde” – the band adopts a film noir-esque vibe that suggests Television at their quieter moments. They play with the precision of 80s-era King Crimson, but with a much more playful attitude. Quite intriguing. People forget just what fertile ground the small city of Macon, Georgia has long been. 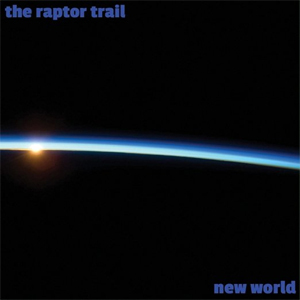 The latest form that southern mini-metropilis is The Raptor Trail, but –other than a bit of a drawl in the pronunciations – don’t come expecting suthun rawk: this trio leans in a progressive rock direction, one that emphasizes strong lead vocals, equally solid vocal harmonies, and catchy, hook-laden melodies. Guitar heroics abound, but it’s all done with a large does of good taste. Think of it as 70s album rock for the 21st century; in a just world, New World would get a wide hearing. 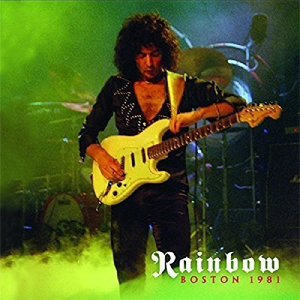 After decamping from Deep Purple, hotshot guitarist Ritchie Blackmore followed a not-wholly-dissimilar musical path by forming Rainbow with Ronnie James Dio. But by the early 1980s and the dawn of the MTV era, Dio was gone, replaced by vocalist Joe Lynn Turner. This live set dates from that period, including songs from their album Difficult to Cure (including the MTV hit “Can’t Happen Here” alongside Dio-era tunes like “Man on the Silver Mountain.” If power rock is to your taste, this slightly histrionic performance is sure to please. The set closer is a medley focusing on classic Deep Purple tunes.